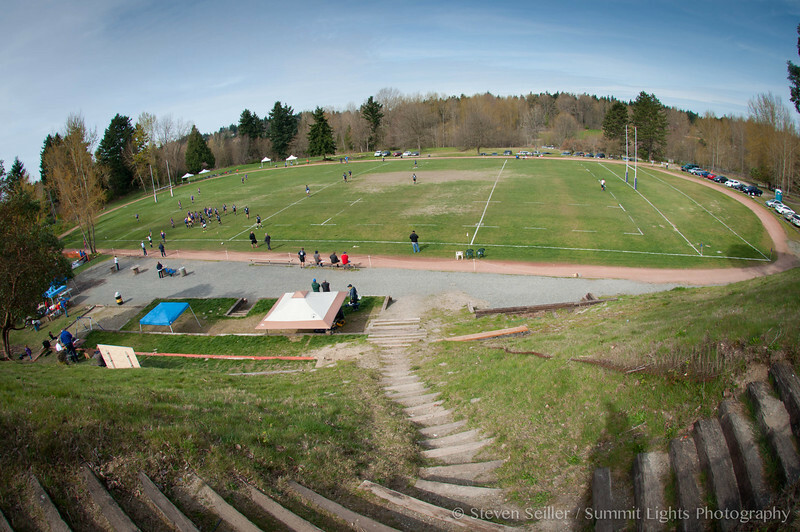 Pacific Northwest Rugby Football Union Finals at Pat Ryan Memorial Field in Tukwila, Wa. Consolation game: ORSU (Blue/Red) Jesters defeated Pacific Rovers (Black/White). The easter bunny planted eggs for the kids.